Born and raised in New Orleans, Louisiana – one of the highest ranked states for obesity – Jessica Windham decided to choose a profession that would help combat the health issues of her home state. 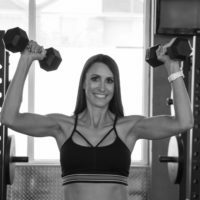 After completing an undergraduate degree in Kinesiology from Louisiana State University, she became a certified personal trainer. She worked several years personal training for a local company before deciding to start her own business, CAMP SWEAT. Jessica and her husband, who also works in healthcare, have three young boys who keep them very busy. Her goal in life is to touch as many people’s lives in a positive and healthy way as she can.